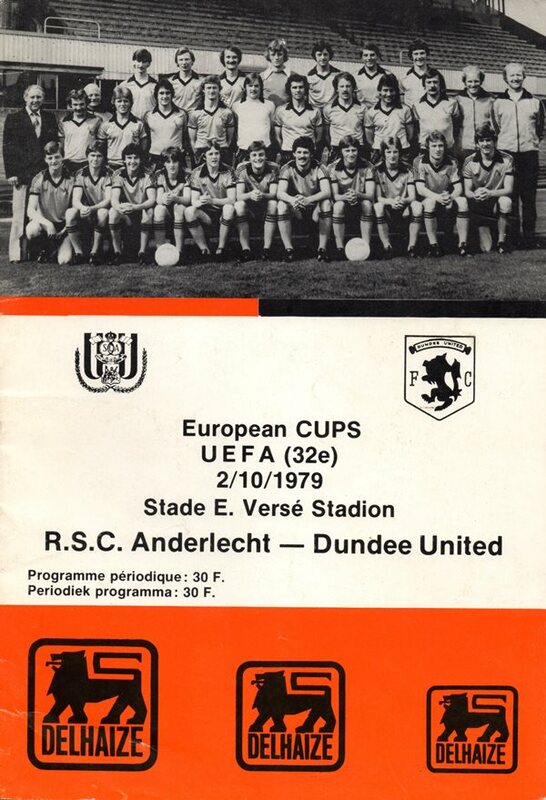 A truly magnificent triumph for the Tannadice side who stunned all Belgium — and the rest of Europe — by eliminating one of the Continent's most consistent sides. 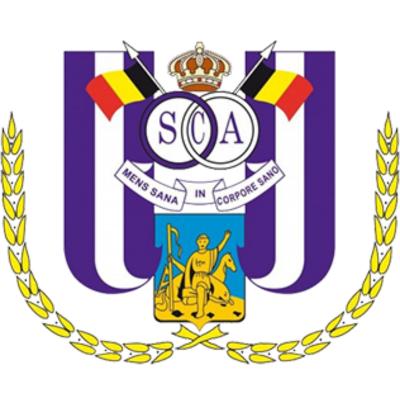 United received a setback after only 25 minutes when Benny Neilson stole away against the run of play to send Anderlecht ahead. 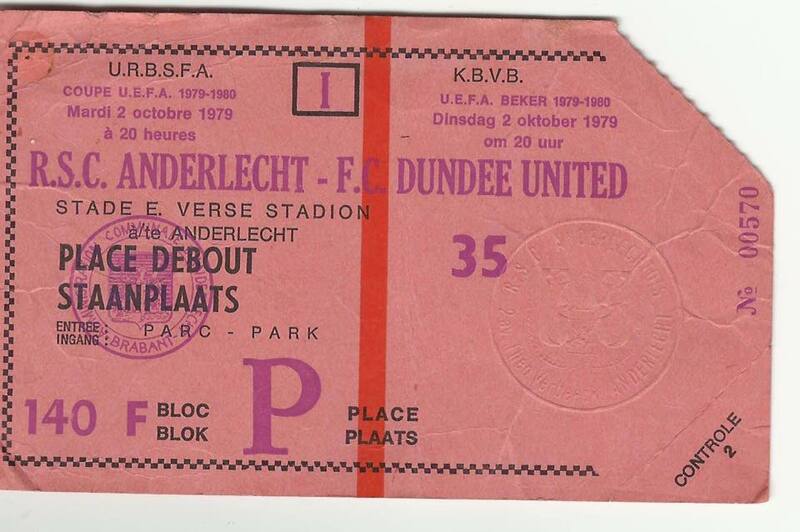 Jim McLean's side stuck to their task however, and were rewarded with a fantastic Frank Kopel equaliser from the edge of the penalty area to go through on the away goals rule in front of a shattered home support which never the less stayed behind to applaud United off the field. 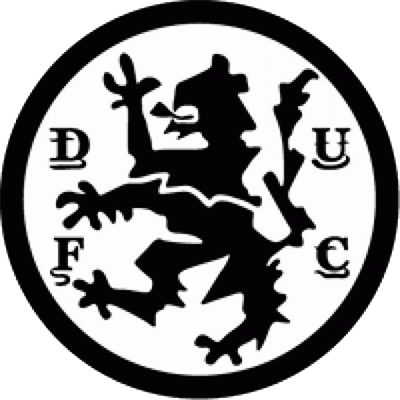 Three firsts were achieved by United in this win. We had never before been involved in a Euro tie decided on away goals ruling; We had never advanced in Europe having failed to win our home leg; Kopel's goal was his first European strike.